This page looks at the development of Chartism in Ashton under Lyne after 1838, and draws on the work of Dr Robert Hall to identify 65 Chartist leaders in the town. But Ashton under Lyne, a Lancashire mill town with a long radical tradition and a brief but brutal history of urbanisation and industrialisation, was, in the words of the eminent Chartist historian Dorothy Thompson, “the most radical and Chartist of all the factory towns”, and it would play a central part in many of the most significant Chartist events of the 1830s and 1840s. 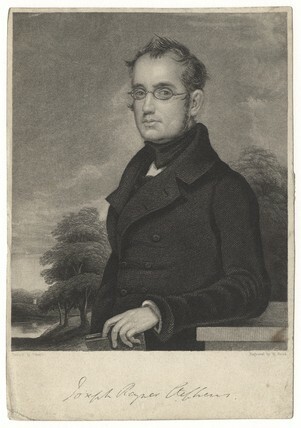 Rev Joseph Rayner Stephens. Now buried in St John’s Church, Dukinfield, Stephens is described on his monument in Stamford Park, Staleybridge, as “an earnest advocate of the Ten Hours Bill, an able defender of trades unions and determined opponent of the New Poor Law”. M’Douall, too, played a central part, shifting a sceptical Chartist leadership behind the strike. As a result of this, almost the entire Chartist leadership was arrested and put on trial– M’Douall himself escaping the risk of a second period of imprisonment only be fleeing to France, where he spent two years in exile. The following lists are taken from the research notes created by Dr Robert G Hall and are reproduced here with his permission, for which we are immensely grateful.